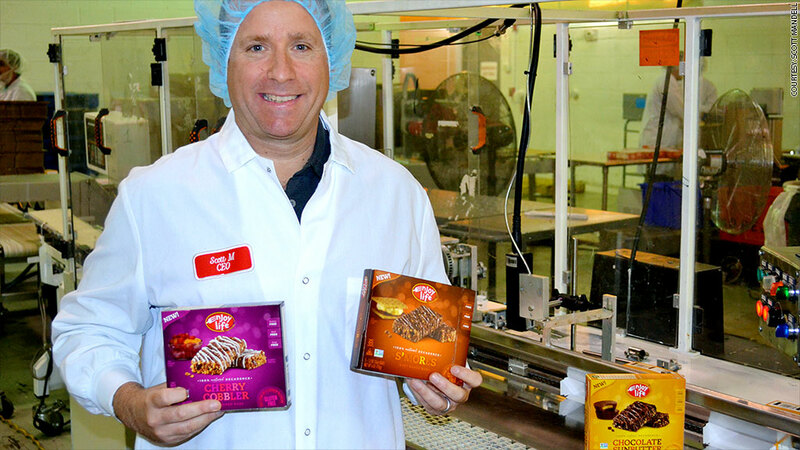 Investors are excited about companies like Enjoy Life Foods, which makes gluten and allergen-free products. Plan on launching a small business? Unless it's self-funded, you're going to need to raise money. But financing isn't easily available for every business idea, said William Phelan, president of small business credit ratings firm PayNet. PayNet, which maintains one of the largest database of small business loans, leases and credit lines, knows which startup ideas have become money magnets. And you'll be surprised. Phelan said small business lenders are eagerly pouring money into sectors like niche food manufacturing, hobby farms and small-scale manufacturing. Health food businesses are on a tear, especially for manufacturers of gluten-free and non-allergenic food. Lenders also like the fact that there's solid collateral attached to these startups. "There's the plant itself, equipment and other assets. This is always attractive to the loan market," he said. Enjoy Life Foods in Chicago makes gluten- and allergen-free packaged foods like chocolate chip cookies, snack bars and lentil chips. CEO Scott Mandell, a former commercial banker, founded the business in 2001. "It was hard to find a manufacturing plant that wouldn't contaminate our products, so we refurbished one from scratch," said Mandell. Even though awareness about these foods wasn't mainstream, he sold the idea to angel investors and raised enough capital to buy equipment for the plant. Today, the firm has annual sales of over $40 million, employs 200 people and sells its products in stores across the country, including Whole Foods (WFM). "Gluten-free food isn't a fad. It's a medical need. It's here to stay," said Mandell. Related: Should you drain your 401(k) to start a business? Small-scale manufacturing is another ripe area for startup loans, according to PayNet, especially firms using 3D printing and metal-cutting processes involving water-jet and lasers. Rich Carrigan owns United Displaycraft, a third-generation family business that makes product advertising displays used in grocery stores, drug stores and discount chains. Carrigan said he's been getting three to five "unsolicited weekly calls" from private equity firms and other investors who either want to buy his $50 million-revenue firm or invest in it. "In the last five years, banks and other lenders have been looking for asset-heavy investment areas," he said. This has fueled investment both in new startups and industry consolidation. 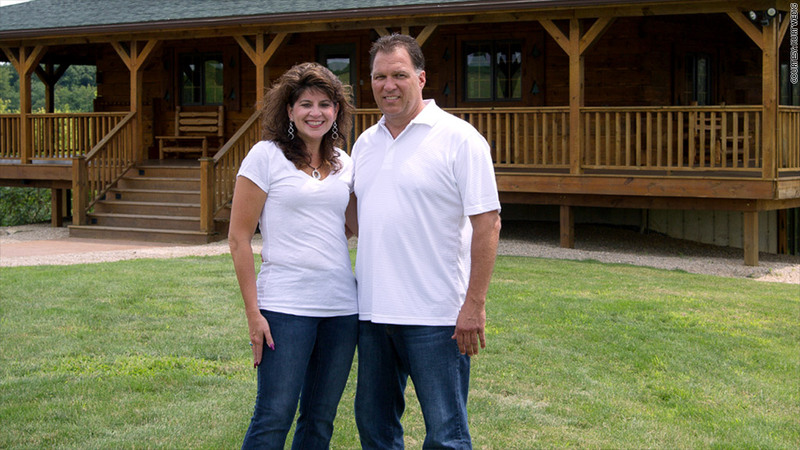 Kurt Wedig and his wife Tammy at the hunting lodge on their hobby farm. Farms don't immediately seem like hot startup concepts, but small-scale "hobby farms" are getting investors excited, said Phelan. Phelan said hobby farms are often used for personal enjoyment by high-net-worth individuals, but many owners are also generating secondary income from the land. Hobby farms are typically 20 to 100 acres and cultivate berries, apples, grapes or tree nuts. Nothing they produce is for large commercial sale. "Farm real estate is having a good run lately," said Phelan. "For many people, having a small hobby farm has also become a good way to diversify their investment away from stocks and bonds." According to PayNet, investment into hobby farms has grown 14% between 2009 and 2013, and they're particularly popular in the Midwest and Southeast. Kurt Wedig owns a 450-acre hobby farm called Tanglewood Ranch in Mineral Point, Wis.
Wedig, who is a rural real estate developer, wanted a place to "get away from work and the city and just relax." But he said it also was a good investment and business opportunity. Since he bought the farm in 2000, he's turned it into a side business. The farm features a log cabin for rent and is also a hunting preserve. "It generates a nice income for us," he said.